Transitioned to Scale with investment from Grand Challenges Canada & Pfizer Foundation; Replicating production/distribution model in India via social franchising; first global hub underway in Kenya. Signature to the ayzh brand is an integrated suite of “kit style” products that bundle simple tools and training carefully designed to address gaps along the RMNCH+A continuum. Our core $3 Clean Birth Kit prevents infection (a leading cause of maternal and infant death) at the time of birth. Additional ayzh kits address newborn care, postpartum health and menstrual hygiene. Across our supply chain, we empower healthcare providers and women with education, employment and economic opportunity. * Mothers and newborns (target beneficiaries) benefit from improved quality of care at critical points throughout life* Health institutions (customers) benefit from a cost-effective product that helps achieve maternal and infant health outcomes* Healthcare workers (core product users) benefit from tools and training that improve their learning and performance* Rural women (product makers) benefit from consistent employment when hired to package and assemble kits. Our mission is to bring simplicity and dignity to women’s health. We are on a journey to becoming the leading global provider of low-cost, high-quality products for Reproductive, Maternal, Newborn, Child and Adolescent Health (RMNCH+A), transforming how women access health throughout life and demonstrating how business can advance the Sustainable Development Goals. By 2030, our vision is to improve the survival, health and wellbeing of one billion women, babies and girls. Our model is simple, based on our philosophy that “the poor are not poor in mind” and will pay for products that are affordable, address real needs and make their lives easier and better. We sell kits directly to health institutions and other partners in low-resource settings, who then resell and distribute the kits to mothers. Our iterative three-step design process (Research & Innovate; Produce & Sell; Monitor & Evaluate) ensures product relevancy and repeat sales for sustained revenue we can reinvest in our mission. There is no shortage of technology in this world to help women and babies survive and thrive. 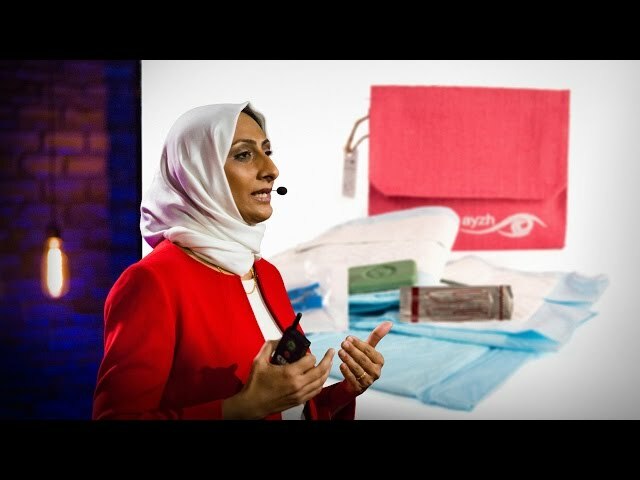 Alas, even the most effective technology cannot save lives if it is not available at the “right place, right time, right price.” Our innovation is a “one stop shop” for high quality and affordable women’s health and hygiene solutions. One of the only social businesses working in the maternal and newborn health sector, ayzh demonstrates a significant departure from traditional approaches (philanthropic and subsidized). Our franchise model for regional production enables both customization to local needs and preferences, as well as replicability and scalability for widespread reach and adoption. Our approach of “integrated innovation” and women’s empowerment aligns with and advances the following Sustainable Development Goals: #3 (health & wellbeing), #5 (gender equality), #9 (resilient infrastructure), and #17 (innovative partnerships).